Decks are exposed to the elements. Without the proper maintenance and treatment, they will succumb to the harsh treatment resulting in the formation of cracks or in some extreme cases, the collapse of the entire structure due to weakness. The system includes the application of a primer and a polytex fabric. These form a waterproof layer that prevents the penetration of water into the substrate below. The primer ensures strong bonds are formed at the molecular level, thereby ensuring long term effectiveness. You won’t have to replace the system for a long time to come saving you time and money in the long term. The system is an effective replacement for more costly options such as wire mesh, tar paper, EPDM, and epoxy flood coats. Perfect Membrane system offers waterproofing and reinforcement at a fraction of the cost. Perfect Membrane provides countless benefits for the price of a single product. 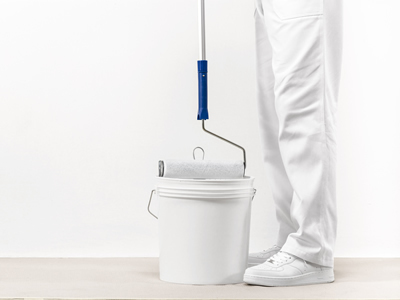 It provides waterproofing, reinforcement, crack isolation, and surface preparation for decorative coatings. You only need to invest in a single product to reap the many benefits. This system can be installed by anyone. No specialized equipment or prior experience is required for the installation. The primer comes ready to apply using a brush, spray or roller. The fabric can be smoothed out using a roller, brush or your hands. 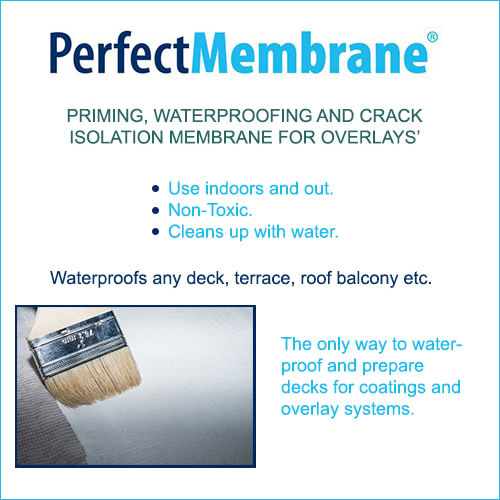 Perfect Membrane is an easy and cost-effective way to protect your deck.